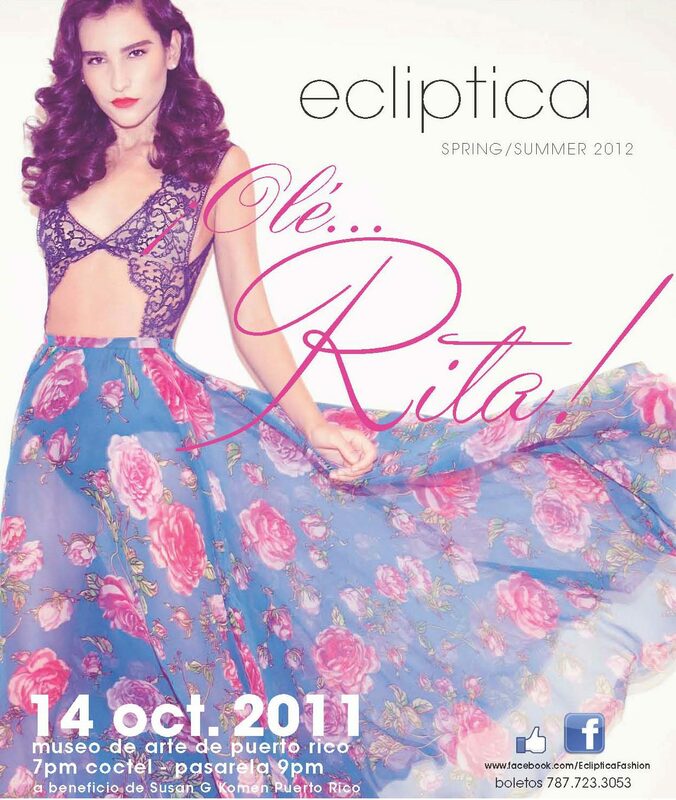 Ecliptica clothing is out of this world, electric, eclectic and modern as the name it derives from. Ecliptica represents the apparent annual path of the sun on the celestial sphere and it is what dictates the changes of season. This name falls in with the fashion proposal of the clothing line since it goes accordingly with the actual tendencies of the global market. Ecliptica is Presenting the S/S 2012 Colection "¡Olé...Rita!"